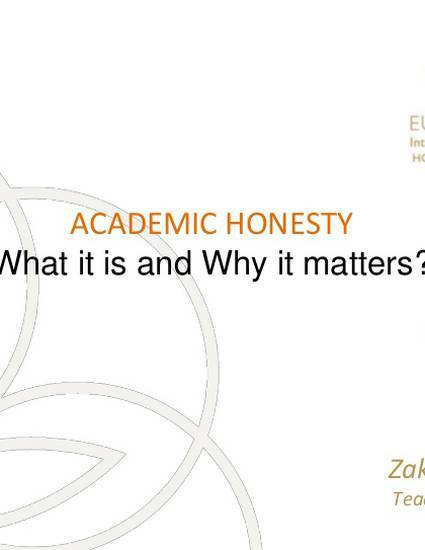 ACADEMIC HONESTY: What it is and Why it matters? Teaching high school students about academic honesty e.g. plagiarism, citation with real life consequences of celebrates who caught for plagiarism.